Figi's® Holiday Happiness. A snack fest of yumminess. A charming lidded woven picnic basket of goodness! 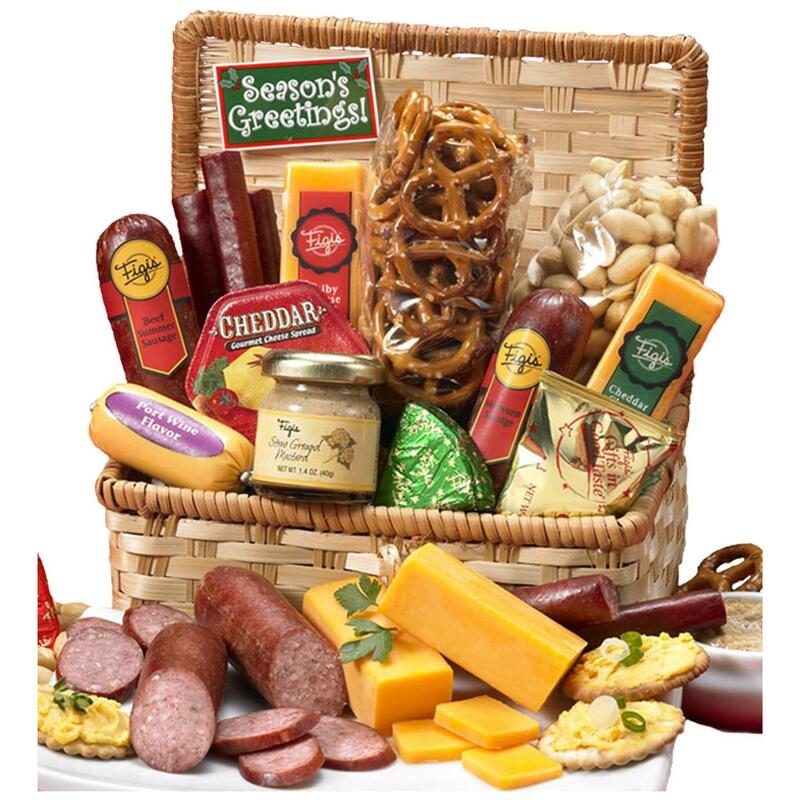 Savory assortment includes individual serving-sized smokehouse beef sticks and summer sausages, Wisconsin cheese, creamy spreads, peanuts, foiled chocolates and more. 1 lb., 1 oz.